This year’s Xbox press conference is the press conference Microsoft really needed to put together for last year’s E3: 90 minutes of nothing but games. There were no children or celebrities on stage, a complete lack of TV talk, and Kinect was barely even mentioned. Perfect. That demonstrates just how far Xbox has come in the last year — particularly in recent months, under the leadership of former Game Studios head Phil Spencer — when it comes to actually paying attention to what the gaming public wants from it. But the price of Microsoft's hubris is clear on the balance sheet, with sales of the Xbox One trailing those of Sony’s PlayStation 4 by a substantial margin. Even so, it’s still early days, and the Xbox One is hardly underperforming. It’s just that Sony’s messaging and policies — along with its console’s marginal technical edge — have given it a dream start to the eighth generation. However, the slate of exclusives Microsoft announced on Tuesday should close that gap a fair amount. We already knew Halo 5 was in the works and in the age of the remake that Halo 2 Anniversary was a near-certainty, but Halo: The Master Chief Collection is an unexpected and smart move from Redmond. In bringing all core instalments of its most beloved and enduring franchise from prior consoles to the Xbox One, Microsoft looks to unite the Halo playerbase on its newest tech and reinvigorate the older games. In addition, allowing multiplayer playlists that criss-cross these games is a stroke of genius. Other once-beloved franchises are getting much-needed resurrections too. Fable Legends already looks much more entertaining than any of that IP's loathsome recent efforts, the power of the Xbox One has the potential to deliver an excellent Crackdown game, and Phantom Dust — a cult classic from the short life of the first Xbox — has an eye-popping CGI trailer going for it, at least. A new Forza was always going to make an appearance (and let's hope Horizon 2 is more compelling than the first), but an entertaining-looking DLC for the already-strong Dead Rising 3 that smartly mines Capcom’s other franchises for inspiration is a genuine and welcome surprise. Sunset Overdrive also feels like a known quantity at this stage, a sure-fire hit that will prove Fuse was a stumble rather than a sign of decline for Insomniac. Elsewhere, Disney Fantasia Music Evolved might offer a compelling Kinect experience, but it feels too niche to make a big impact — something compounded by Microsoft’s Kinect unbundling — and Dance Central Spotlight will no doubt be very familiar and thus lure a few more casual gamers to the One. Despite its everything-to-everyone make-what-you-want pitch, Project Spark (also coming to Windows PCs) feels niche too, simply because it doesn’t appear to have the strong core proposition of rival LittleBigPlanet. Besides which, game creation simply isn’t particularly appealing for many of the Xbox audience, particularly using a controller. That leaves Scalebound and Ori and the Blind Forest to round out the Xbox One’s exclusive games. The track record of Platinum Games makes the former a complete coup for Microsoft, while the latter is something of an unknown if alluring quantity. Much affection has been directed towards Playdead for Limbo, but as great as that game is, it’s not a system seller, and follow-up Inside is merely a timed exclusive anyway. 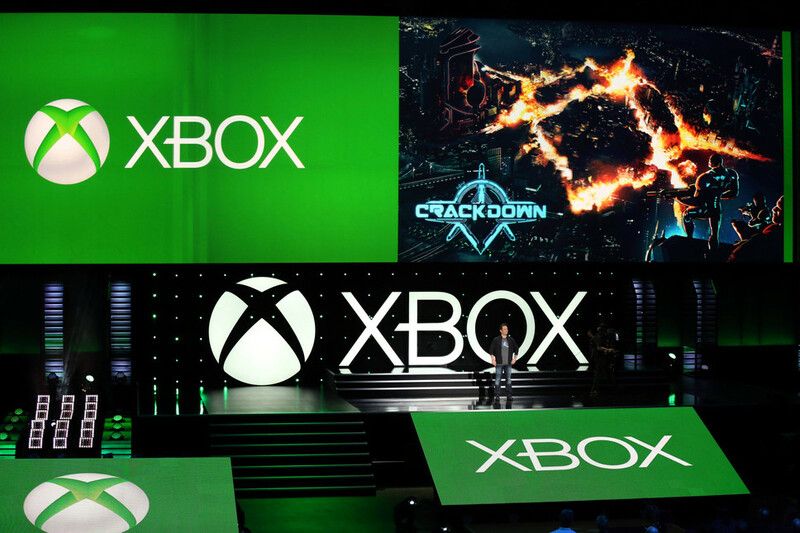 But all up this year’s conference was a very strong showing from Microsoft, despite there being no sign of Black Tusk’s Gears of War, Access Games’ D4, or Remedy’s Quantum Break, and little shown in the way of indie games. Matter of fact, this was Xbox’s best E3 in recent memory. That’s quite an achievement, particularly given all the turmoil at Redmond over the past year. The company has taken a bit of a beating in the past 12 months, but Microsoft is now throwing back, with more than a little vigour. Microsoft ushers in the next generation.